ST. LOUIS (June 16, 2008) – Tickets are now on-sale for a two nights only Saint Louis Symphony Orchestra special event – the St. Louis debut of Howard Shore’s The Lord of the Rings Symphony, conducted by Ludwig Wiki. The event kicks off the SLSO’s 129th season with a spectacle that features more than 200 musicians and singers including the Saint Louis Symphony Orchestra and Chorus, along with projected illustrations. The Lord of the Rings is a series of three epic fantasy novels written by the English academic and philologist J.R.R. Tolkien, taking place in an alternative pre-history called the Third Age of Middle-earth that is populated by Men as well as fantastical, humanoid creatures such as Hobbits, Elves, and Orcs. The story follows the quest to destroy the malevolent Ring of Power. The Lord of the Rings Symphony, written as the score for movies based on the novels, calls on a vast range of styles and exotic instruments to create the world of Middle-earth. Employing a leitmotif technique – where musical themes are associated with specific characters or ideas, and are developed across the entire series, the six movements are beautiful, haunting and exciting. The Saint Louis Symphony will play selected works from the Symphony, and will be joined by the Saint Louis Symphony Chorus singing in the Middle-earth languages developed by Tolkien, Quenya and Sindarin. Projected original illustrations accompany each of the 6 movements, 2 from each film throughout the performance. Acclaimed director Peter Jackson picked one of the most respected and active film composers at work today to write the score for his film adaptations of The Lord of the Rings trilogy, Howard Shore. The films were wildly successful, one becoming the 2nd highest grossing film of all time and the trilogy winning 17 out of 30 Academy Award nominations. 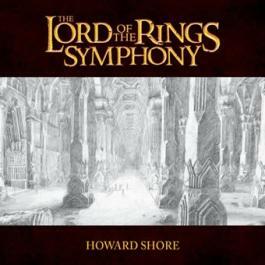 The Symphony is one of the most popular film scores ever written, taking three years and nine months to compose, selling six million copies of the three soundtracks around the world, and winning two Best Original Score Academy Awards for The Lord of the Rings: The Fellowship of the Ring (2002) and The Lord of the Rings: The Return of the King (2004). Taking the conductor’s spot for this special performance is the man who led his 21st Century Orchestra in the world premiere of The Lord of the Rings Symphony at the Lucerne Concert Hall in Lucerne, Switzerland. Wicki has collaborated with Shore, Randy Newman, and Martin Bottcher to present many world premiere performances of special film music concerts. 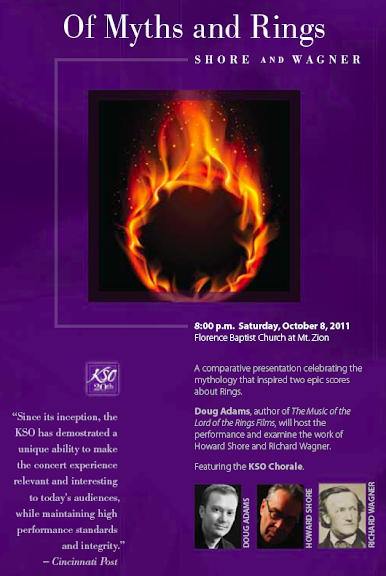 The Saint Louis Symphony Orchestra has been a source of pride for the St. Louis region since its founding in 1880. The SLSO has earned a reputation as a first-tier orchestra through generations of excellent performances, its mastery of a wide-ranging repertoire, and a tradition of partnering with leading musical artists from around the world. Led by innovative American-born conductor David Robertson, the Orchestra continues to strive for artistic excellence, fiscal responsibility and community connection. In addition to its regular concert performances at Powell Symphony Hall, the SLSO is an integral part of the St. Louis community, presenting more than 250 free education and community partnership programs each year.